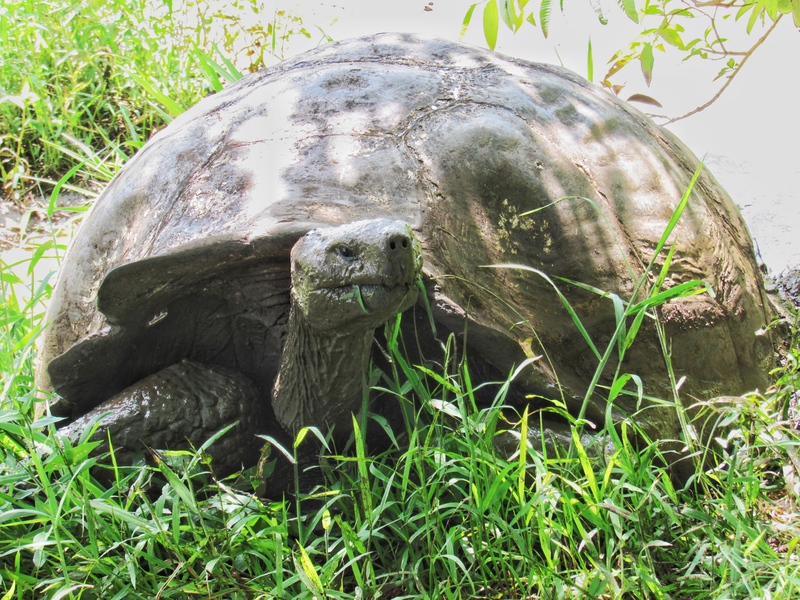 The Galápagos Islands are most famous for the role they played in Charles Darwin’s theory of evolution. I was quite surprised to learn that he was only ashore here for less than a month. He was obviously a very busy and productive fellow. I was also surprised by the landscape. I’m not sure what I was expecting really. 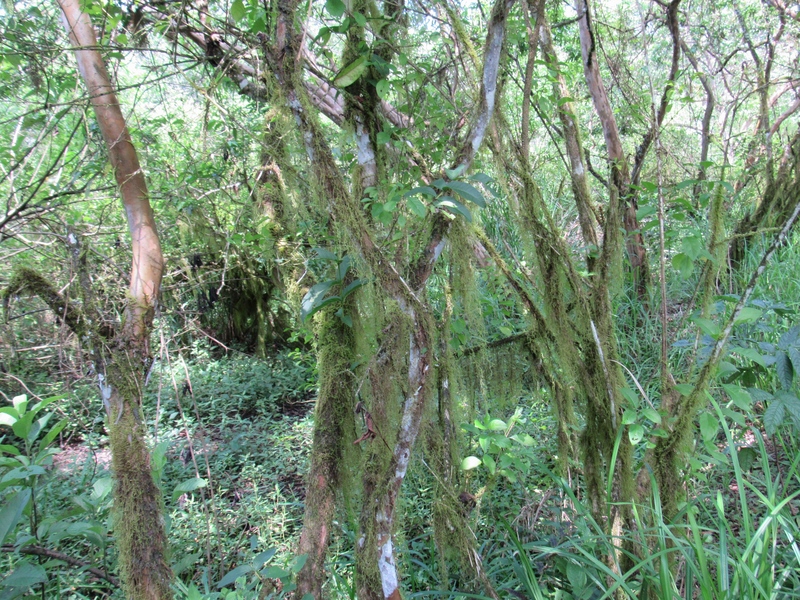 Maybe lush green tropical pacific island vegetation? It’s not. The parts I saw were mostly harsh hot dry desert with some weird hairy cacti and alien trees. 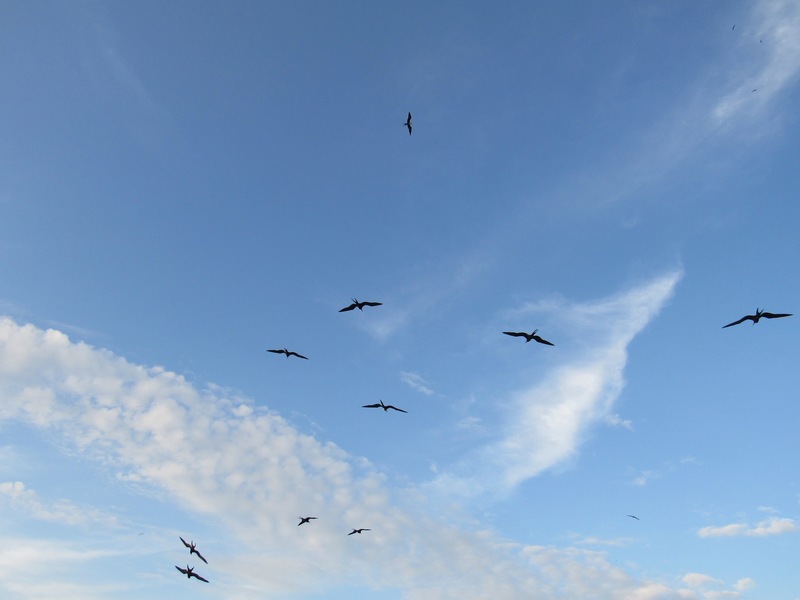 Huge angular birds circle overhead looking very much like pterodactyls. It’s a place unlike anything I’ve ever seen before or as Darwin described it ‘a little world within itself’. The islands are volcanic with numerous active volcanoes, rocky shorelines, lagoons and lava tunnels where you have to wriggle through gaps and clamber over rocks in an adventure worthy of Enid Blyton. In some places I was pleased to come across mini-forests of cool mossy trees. I’m very fond of moss. Summer in the Galapagos is from January to July, so it’s mid-summer here now. If you’re thinking of visiting I highly recommend coming in winter. The equator crosses these islands and the summer heat is seriously stinky. We just want to hide in the air-conditioning but we’re here to see the unique wildlife so no time for slacking off. There are not many stories to tell from our adventures here as we’ve pretty much spent the whole time complaining about the heat, trying to stay cool and gawping in wonder at the amazing wildlife. So you can consider this post a kind of photo essay. 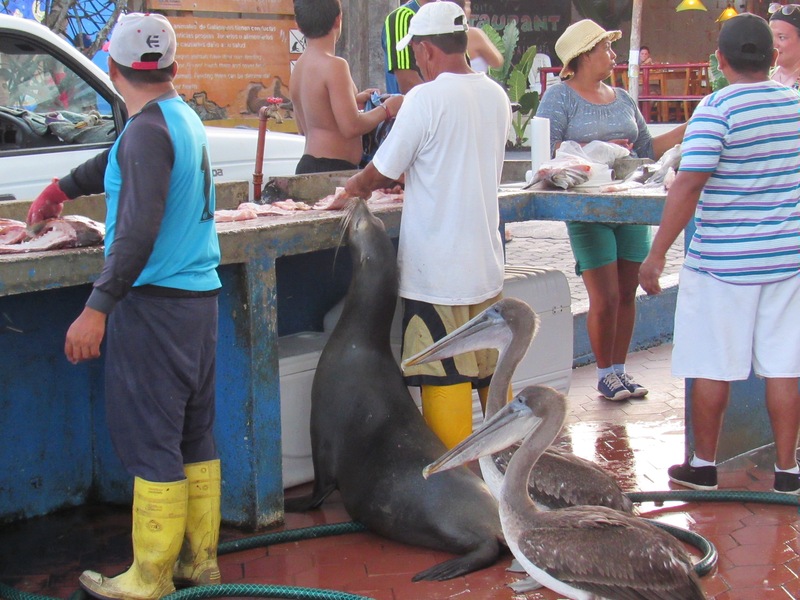 Puerto Ayora is the main town in the Galapagos – a tourist village completely overrun by tourists. 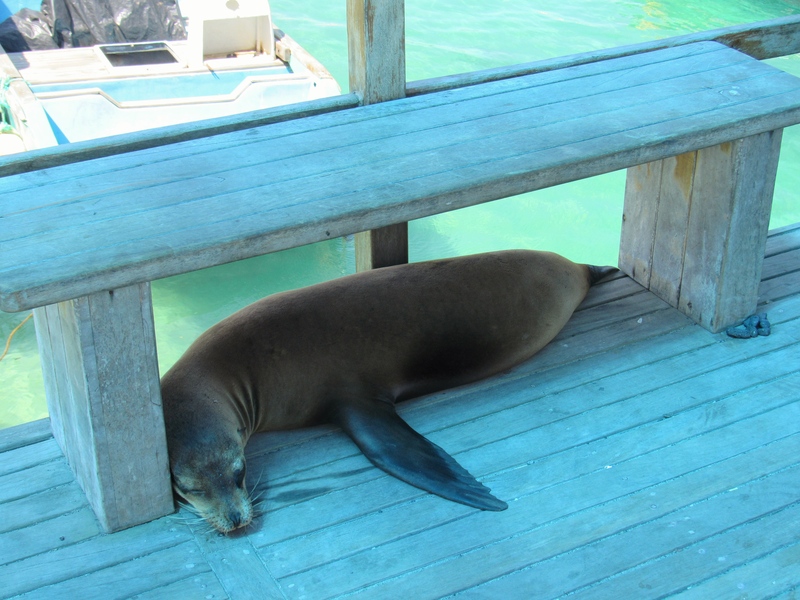 It’s almost possible to ignore the other tourists and the unbearable heat because you can actually see quite a lot of wildlife in town just down at the docks. 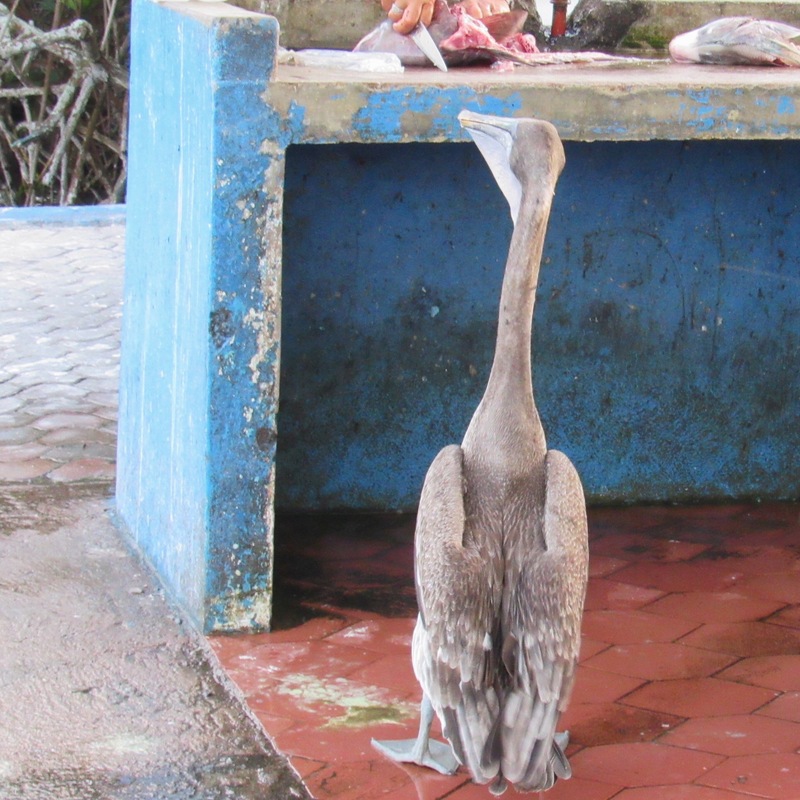 Galapagos Brown Pelicans sun themselves amidst the hubbub, brightly coloured Sally Lightfoot Crabs and Lava Lizards scamper about and Blue Footed Boobys fish in the waters. 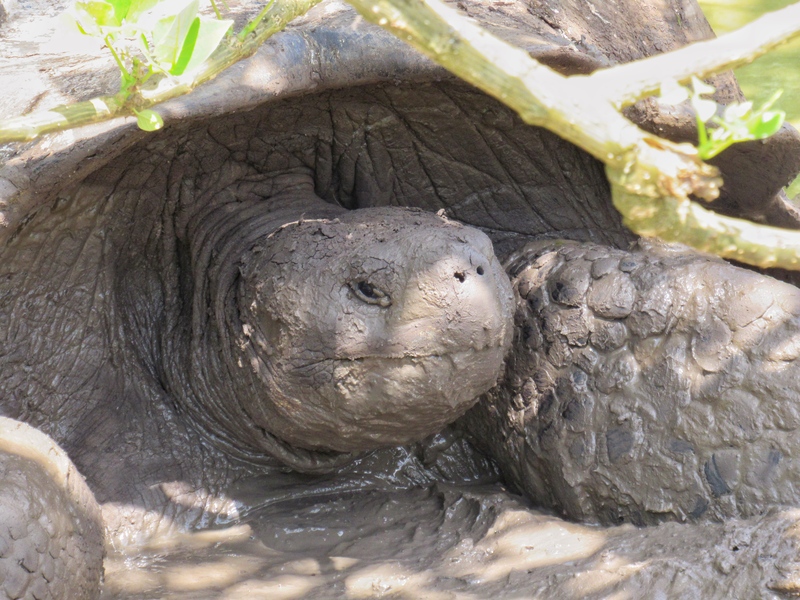 Inland, giant tortoises wallow in the mud like hippopotamuses (or hippopotami for the pedantic). I was totally awestruck looking into the wise and serene eyes of these incredible ancient creatures that can live for an estimated 200 years. I felt I was in the presence of enlightened beings. It still breaks my heart when I think of those poor tortoises that Darwin and his mates from The Beagle kidnapped and brought back to England in the 1800s. There’s still some mystery about where they all ended up but one is supposedly ‘Harriet’ who lived in exile in Australia Zoo until she died just a few years ago, never seeing her homeland again. There are still a number of other giant tortoises in captivity in zoos around the world. Send them home I say! People even buy them as pets. Humans are so arrogant and cruel. 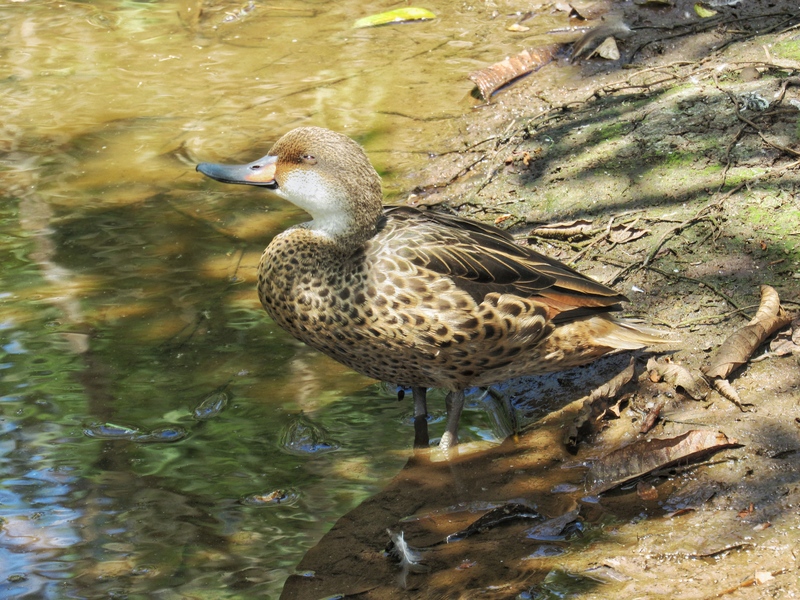 Anyway, in case you were wondering…a ‘Galapagos Duck’ is not just an Australian jazz band. It’s a real duck. 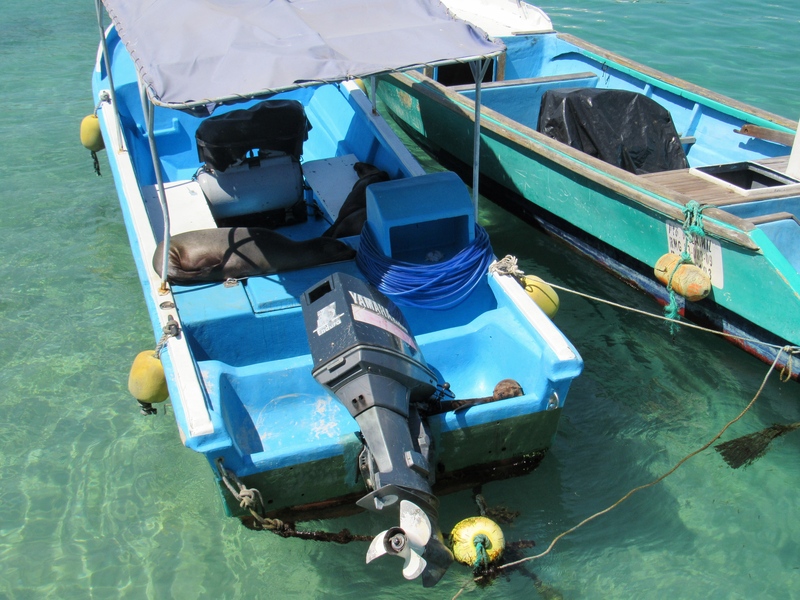 We caught the boat over to Isla Isabella, a very squashy crowded journey of just two and a half hours. If you had a lot more time and money than us (and didn’t mind the heat or came in winter) you could visit some of the other seventeen islands. There are nineteen in total and each one is said to be unique. 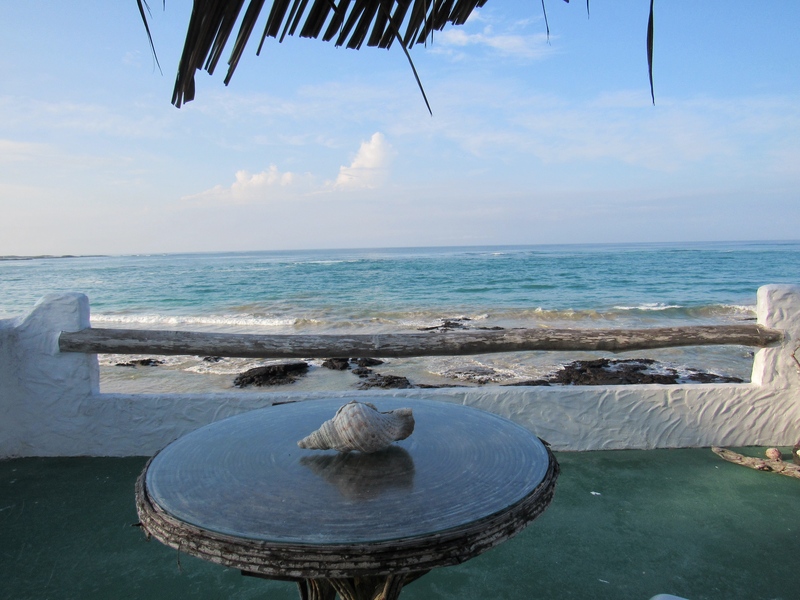 We can only manage to explore two – Santa Cruz and Isabella. 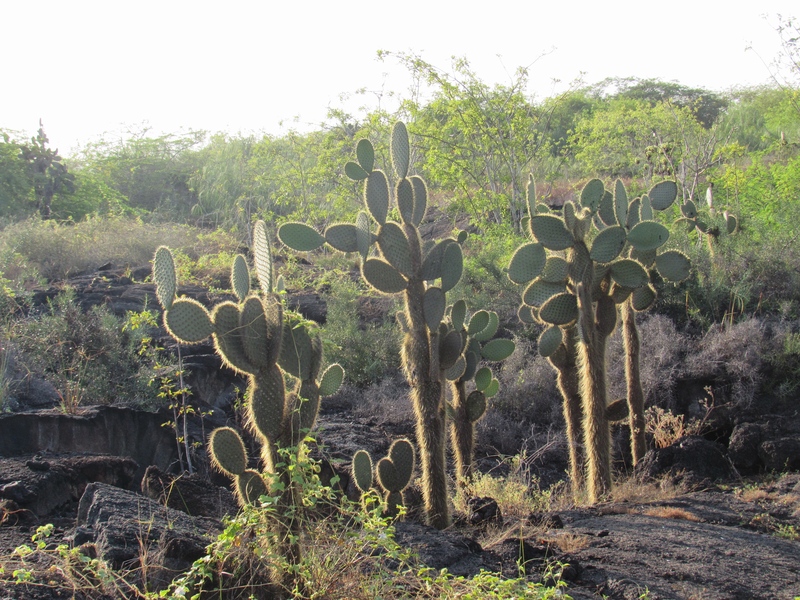 The Galápagos Islands used to be known as ‘The Enchanted Isles’ and arriving on Isabella I can see why. 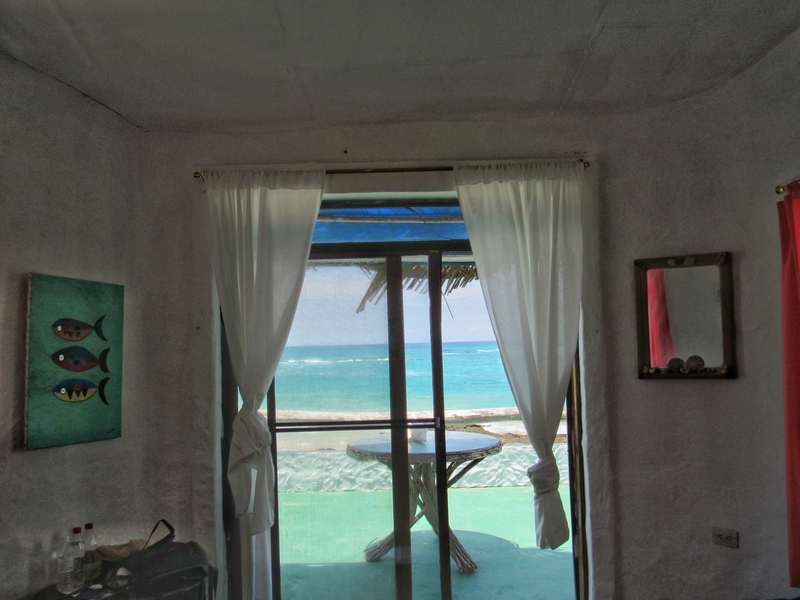 It’s a visual paradise and our gorgeous room looks out to the sea. All over the Galapagos is great for diving, snorkelling and surfing but you get completely fried to a crisp in ten seconds flat at this time of year. Staying in the shade is a better plan, besides there’s a very groovy bar downstairs. 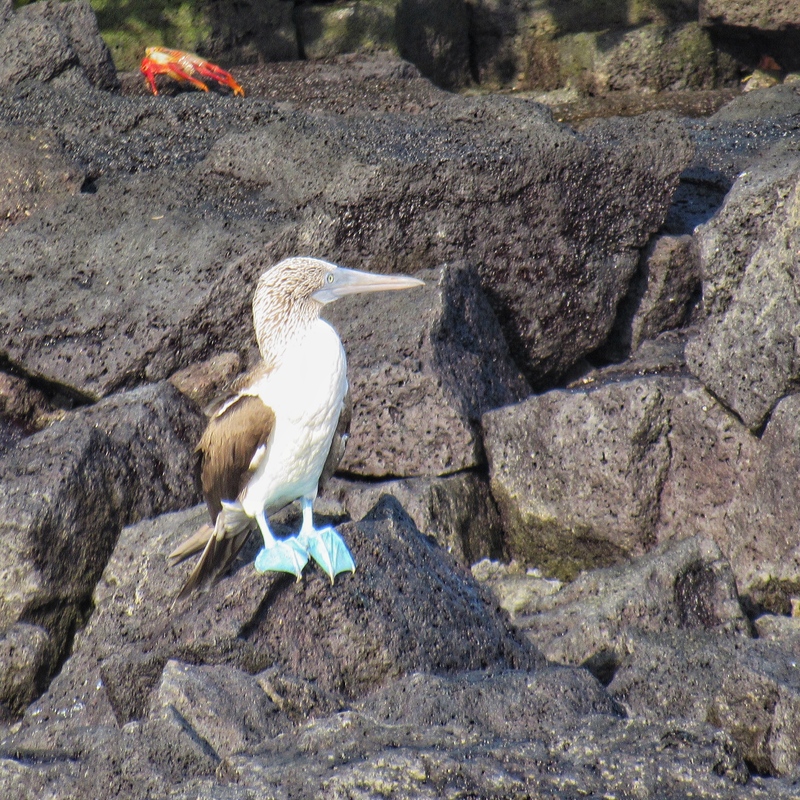 Wildlife is everywhere in the Galapagos and so many of the quirky creatures seem unfazed by humans and mingle in the funniest ways. 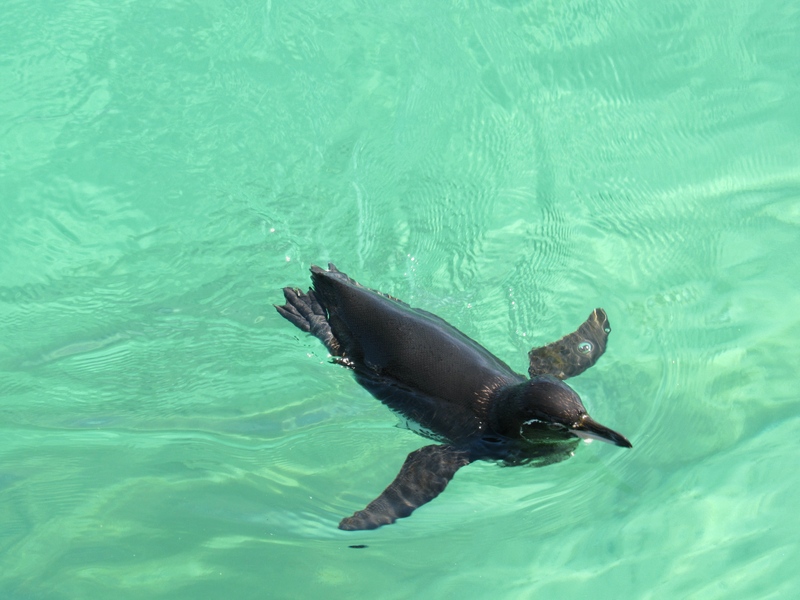 Penguins and dolphins frolic in the bays and pelicans and sea lions shop at the fish market. 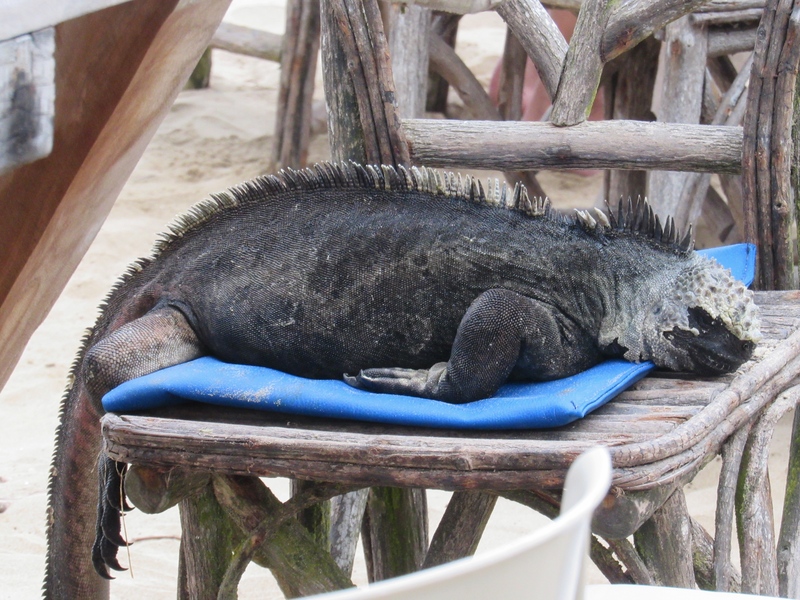 The prehistoric iguanas are hilarious. 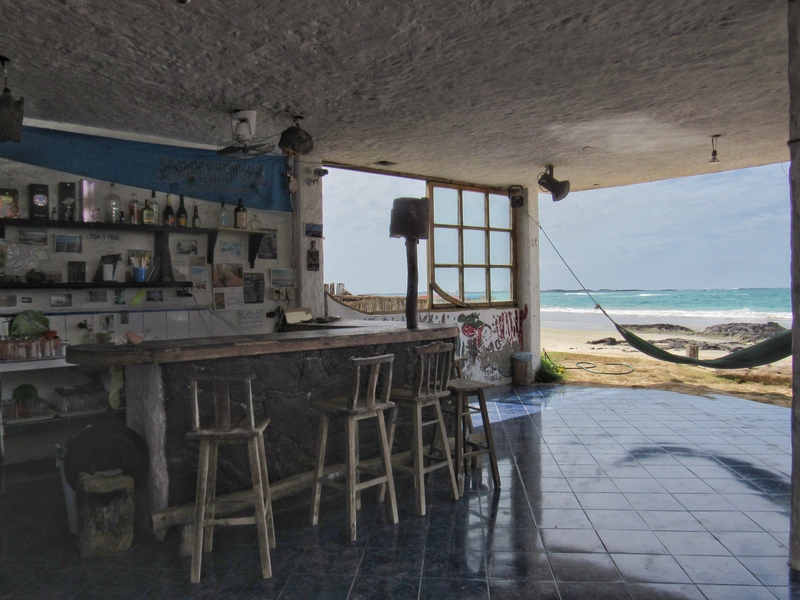 You see them sunbaking on the rocks or the sand, swimming in the sea and even sleeping on chairs at the bar. The lagoons are teeming with birds. 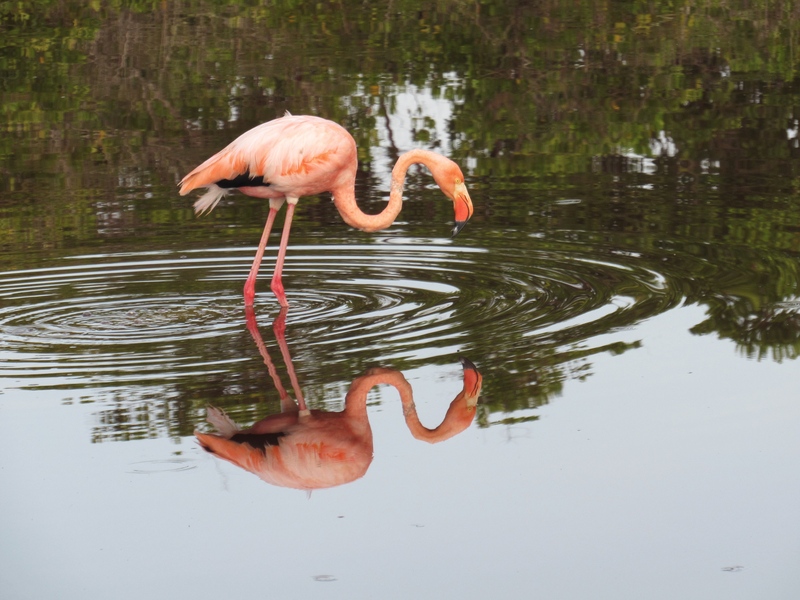 I finally got to see a pink flamingo! I’ve been wanting to see them for as long as I can remember. I’ve almost seen them lots of times but this time I really did. 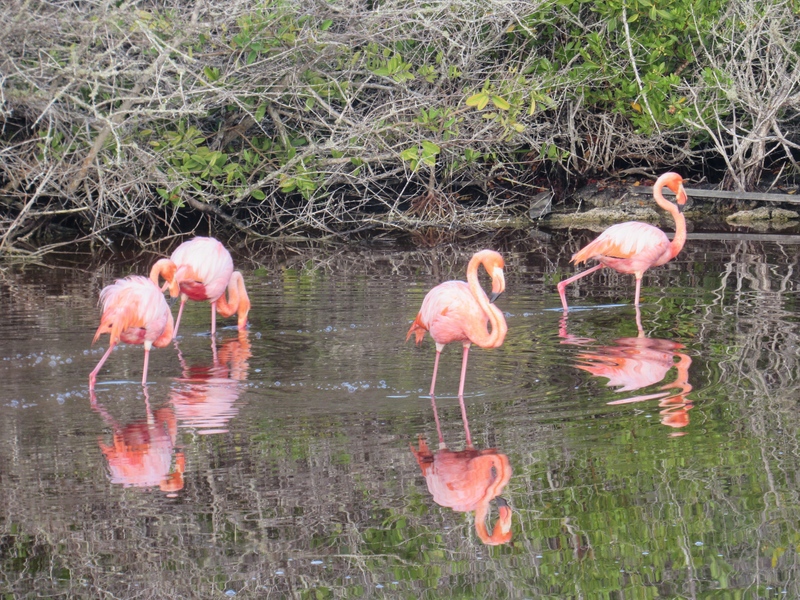 These ones are the ‘Galápagos’ variety so a bit different to everywhere else. They are every bit as beautiful as I’d imagined. 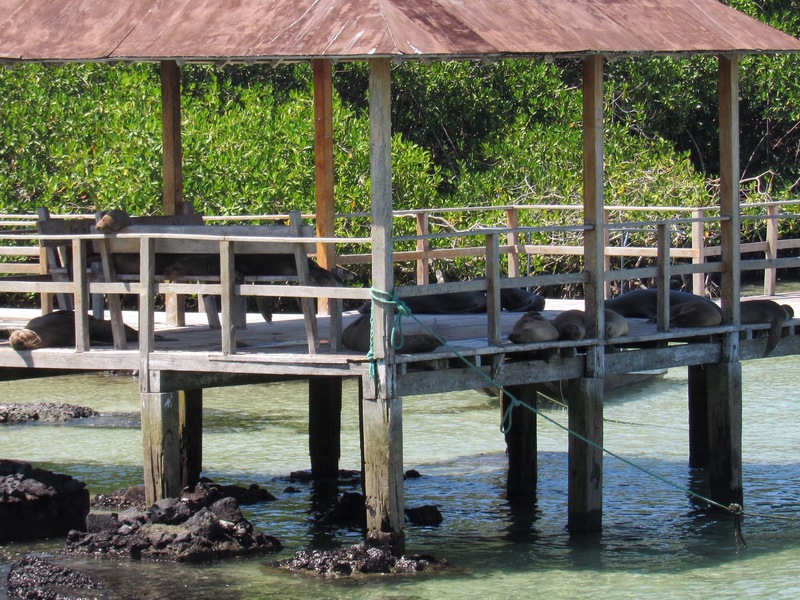 The most loveable of Galapagos creatures are the sea lions. They’re just like dogs with flippers. You see them sleeping everywhere. 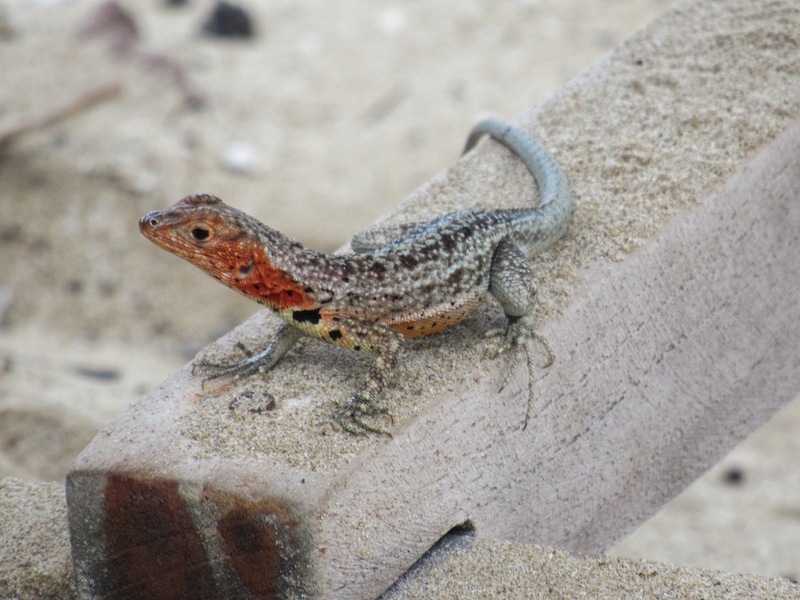 The strangeness and diversity of life forms really is amazing here and it’s easy to see how this was the perfect rich environment for Darwin to notice variations between species. There’s so much more to see than we have time for that I think we’ll have to come back here again. In winter. 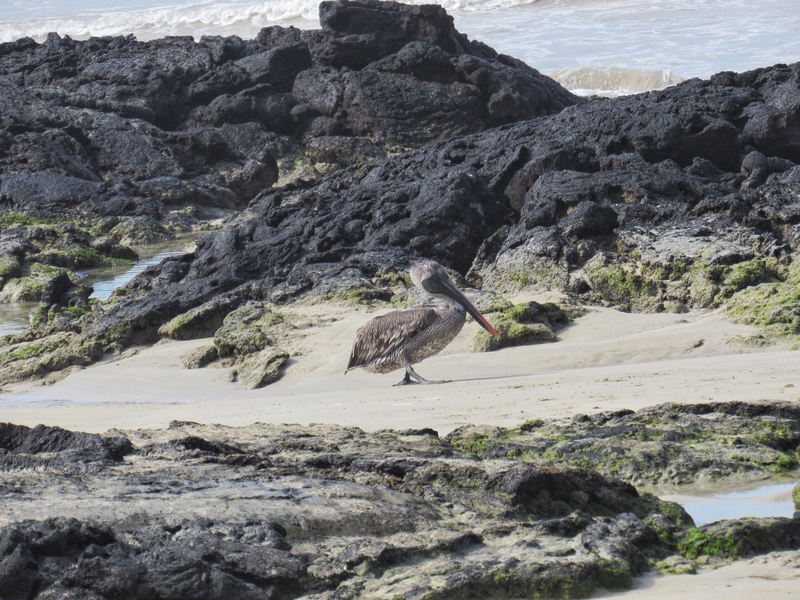 There are more Galapagos photos here. This entry was posted in Ecuador stories, South America and tagged adventure, boat, Ecuador, Galapagos, Iguana, island, national park, nature, pacific, penguin, Sea lion, south america, Tortoise, Travel, wildlife. Bookmark the permalink. How lucky you are Jeanne. 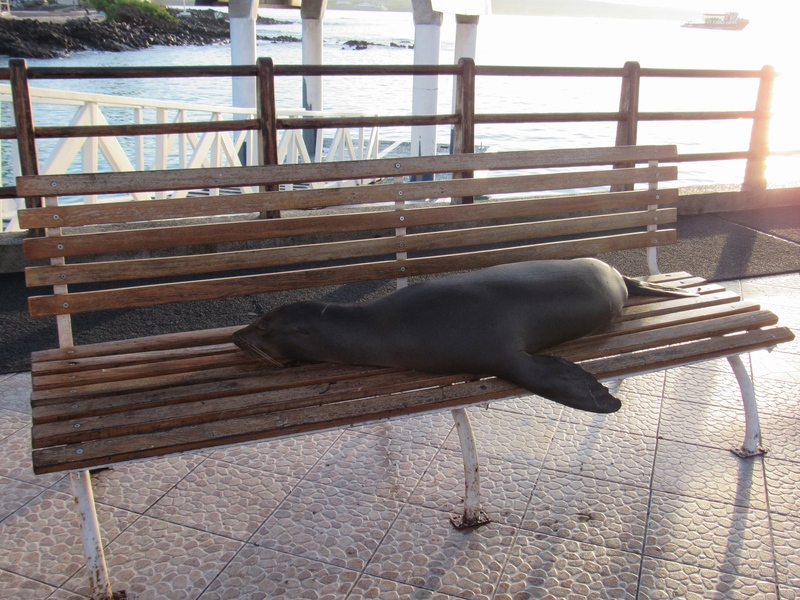 Galapagos is a place I will go one day…..just to hang out with the locals! !